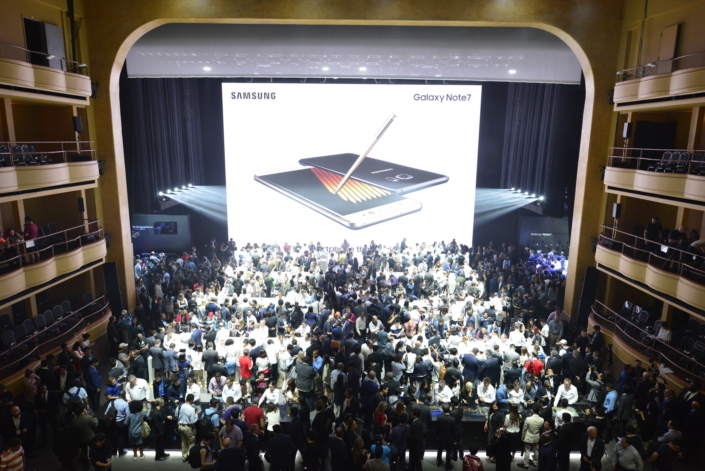 Samsung Electronics gave the world a peek into the future with the Galaxy Note7, the newest addition to the Galaxy Note series, at Galaxy Note Unpacked 2016. With approximately 1,500 in attendance, the event was held at the Hammerstein Ballroom at the Manhattan Center in New York on August 2. To bring the spirit of the Olympic Games to Galaxy Unpacked 2016, Samsung, a Worldwide Olympic Partner in the Wireless Communications Equipment category, held multiple launch events simultaneously. In addition to the main event in New York, festivities also took place in Rio de Janeiro, Brazil, where the Olympic Games will soon be held, and London, UK, the site of the previous edition of the Olympic Games. 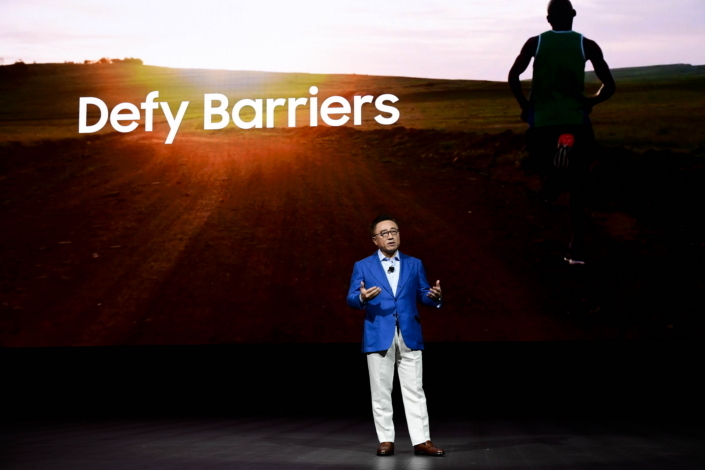 DJ Koh, President of Samsung’s Mobile Communications Business, began his keynote with the inspiring story of Tsepo Mathibelle, a marathoner from Lesotho, who rose above hardship to accomplish his goals. Koh stressed how Samsung, like Olympian athletes, has also worked to continuously defy barriers throughout its relentless pursuit of innovation. As a continuation of the Galaxy Note series, which pioneered the phablet market, the Galaxy Note7 offers high-tech functionality with an analogue feel. In the same way, the Hammerstein Ballroom, with its hand painted ceiling frescos and wooden adornments, harmonizes classical sensitivity and state-of-the-art technology, making it an appropriate venue for the event. Samsung added its own touch to the event setup to allow guests to more dynamically experience the future of mobile. 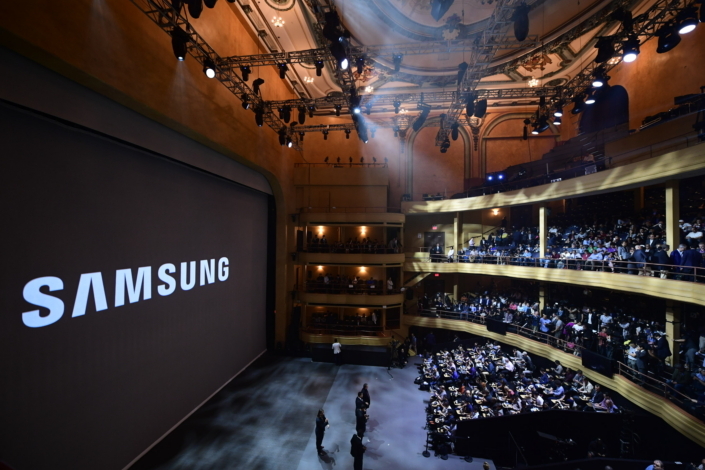 To ensure that those seated in the upper balconies of the ballroom could be truly immersed in the event, Samsung installed a screen not only behind the stage, but also on the stage itself. The screen, which could be viewed from all seats of the venue, changed throughout the event to showcase the features of the Galaxy Note7 to great effect. Following the launch of the Galaxy S7 and S7 edge event in February, Samsung once again equipped each seat with a Gear VR headset. 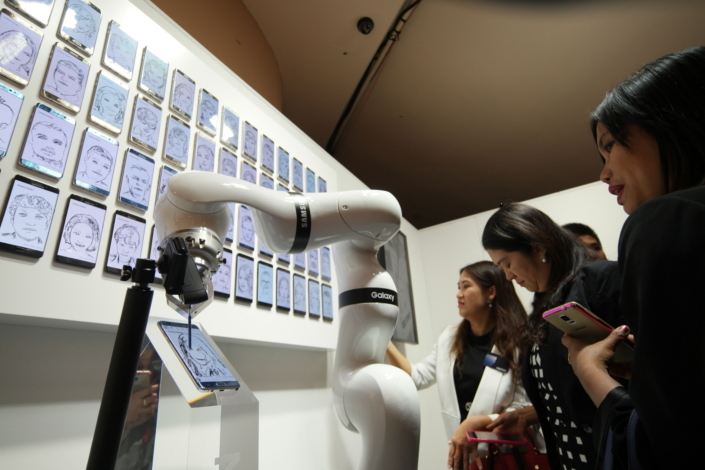 This time, however, to make the event even more unique, the company employed augmented reality (AR) to showcase the new features of the Galaxy Note7, as well as its Phone Plus strategy. 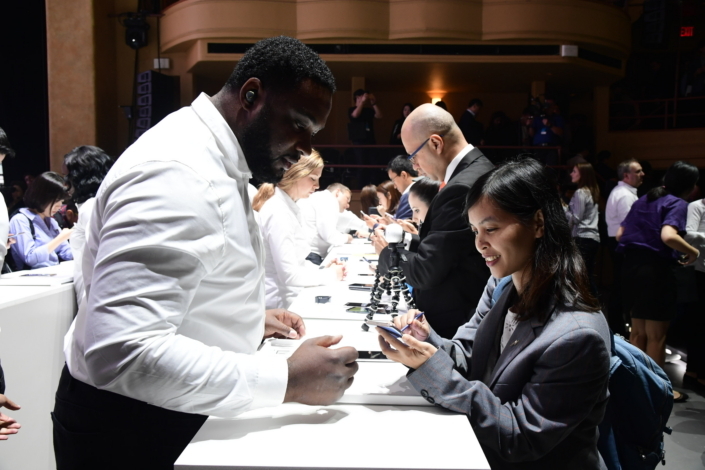 The event’s Experience Zone was more interactive than ever before, giving participants the chance to get hands-on with the new Galaxy Note7. 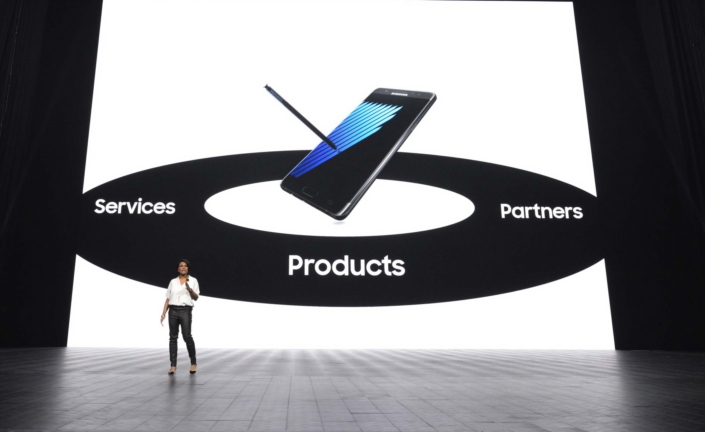 In addition to tables that offered a close-up look at Samsung’s latest products and services, there were plenty of unique activities and exhibits that added an element of fun. Among the highlights included a drawing robot and a 4D canoeing experience with Galaxy Note7, Galaxy S7 and Gear VR. Check out the highlights of the event below! 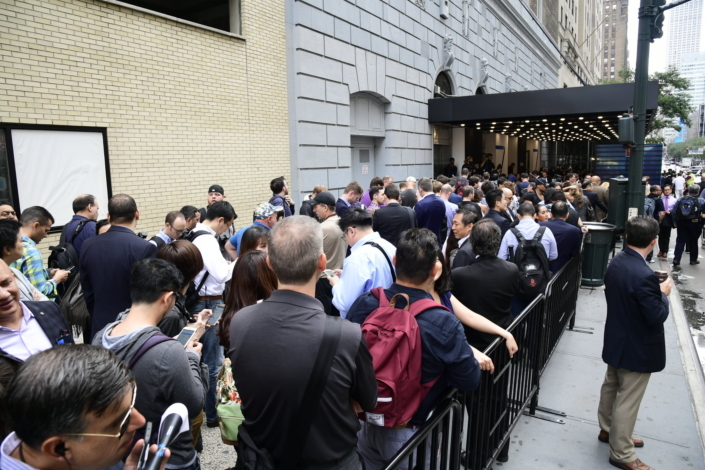 Media representatives gather outside New York’s Manhattan Center before the start of Galaxy Note Unpacked 2016. Excitement builds inside the Hammerstein Ballroom, where attendees await the revelation of the Galaxy Note7. 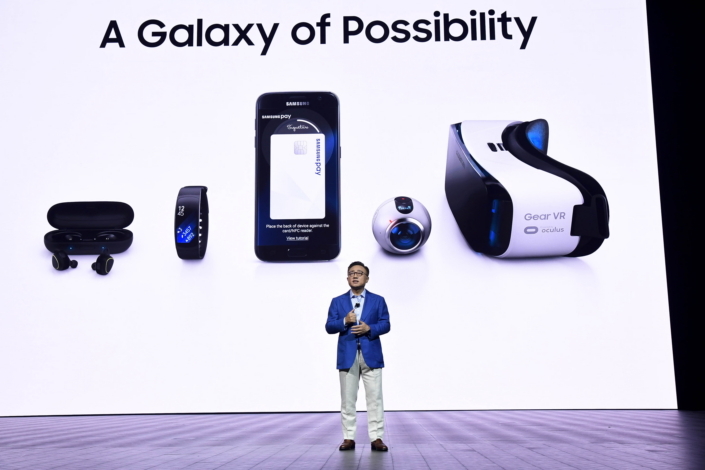 The Galaxy Note7, according to Koh, is a “gateway to unlimited possibilities like virtual reality.” Samsung further demonstrated this point by introducing the features of the new phone, such as its iris scanning technology, through an augmented reality experience powered by Gear VR. 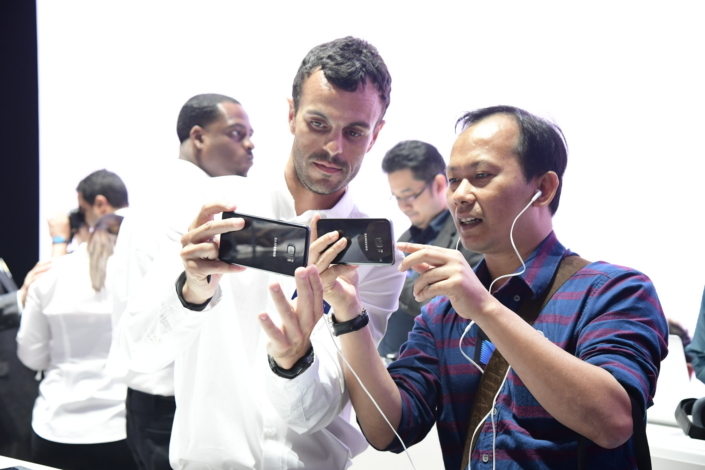 Event attendees put on Gear VR headsets to watch 360-degree videos—content that is transforming how we see the world. 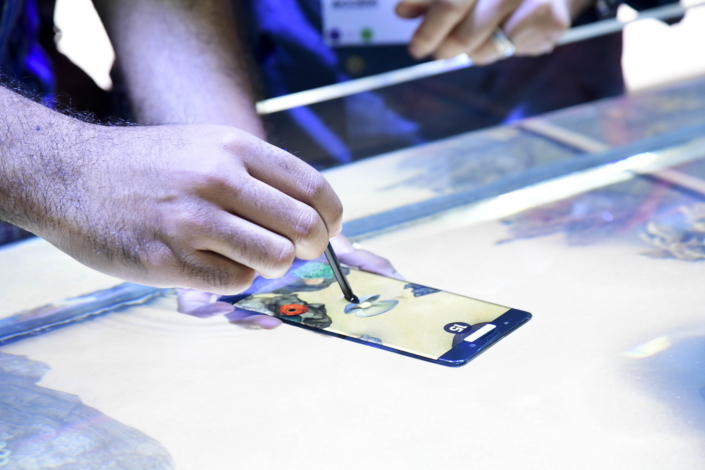 In the Experience Zone, an event attendee tries out the enhanced S Pen of the new Galaxy Note7. With a smaller pen tip and increased pressure sensitivity, the new S Pen replicates the ease and accuracy of a real pen; it is also the first to be water resistant. 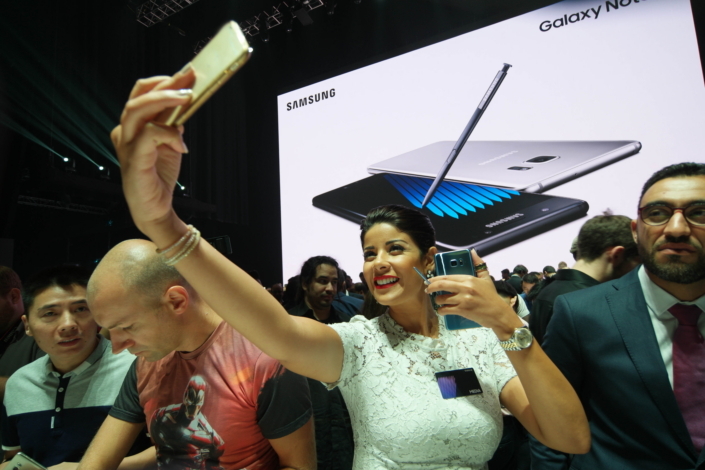 An event-goer shows her satisfaction with the Galaxy Note7’s new color—Blue Coral—moments after it was unveiled at Galaxy Note Unpacked 2016. The crisp, clear display and lifelike picture quality of the Galaxy Note7 impress a guest as he gets hands-on in the Experience Zone. Equipped with HDR streaming capabilities. 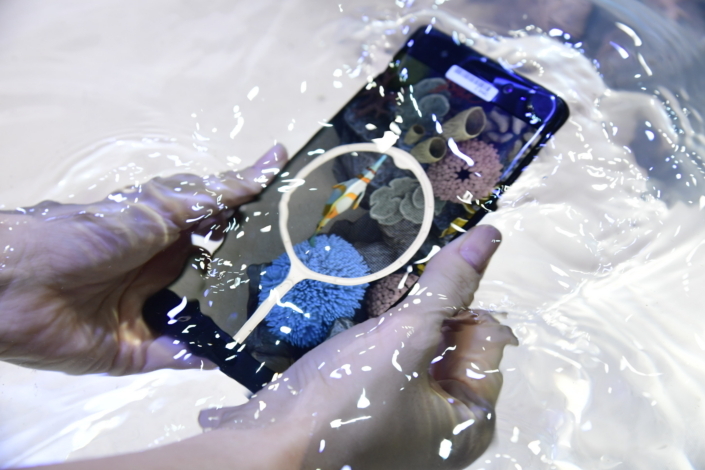 An event attendee experiences first-hand the water resistance of the Galaxy Note7 smartphone through an interactive underwater game in the Experience Zone. A participant gets a feel for the IP68 certified S Pen, which is now functional underwater. 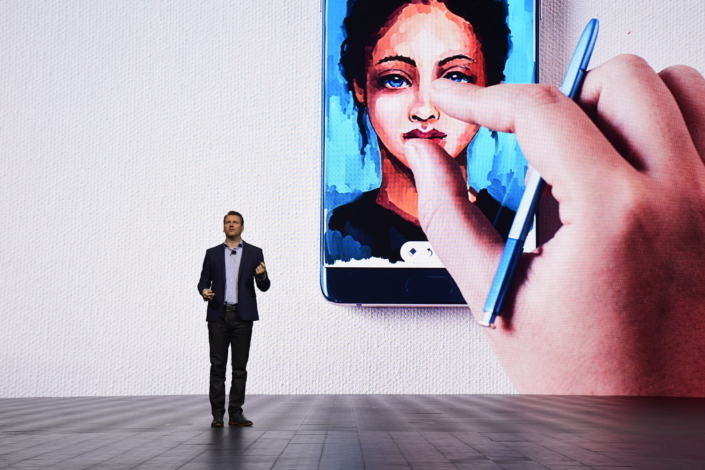 Samsung’s Drawing Robot impresses event attendees with its ability to recreate photographs on the Galaxy Note7 with the S Pen. 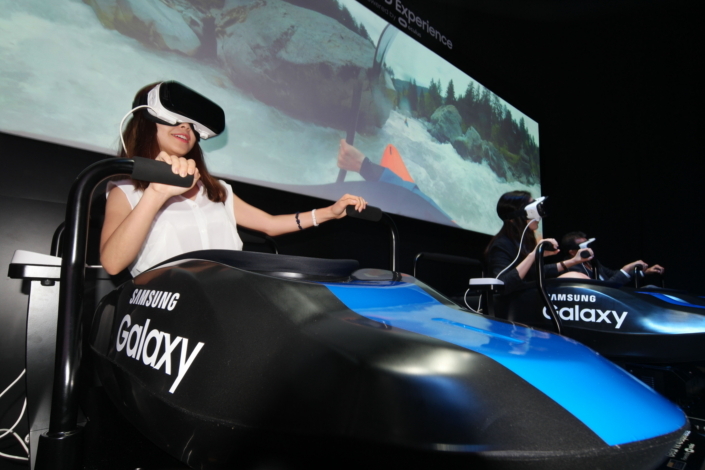 A 4D canoeing experience powered by the Galaxy Note7, Galaxy S7 and Gear VR allows participants to feel as if they’re in the middle of the action.